When consumers buy products like appliances, automobiles, or even food, they are provided with labeling information about energy. Such labels increase customer awareness and help buyers make the best decision. With food, shoppers often select the lowest calorie product and willingly pay more for that product. A car that uses less fuel will be advertised as such and subsequently sell for a premium. The problem is that when a home is purchased, particularly a used home, buyers know little about its energy consumption and therefore tend to overlook one of the most important costs of ownership. Portland, Oregon is a city that recognizes energy conservation as an energy resource and, for this reason, encourages home improvements that reduce energy consumption, thereby reducing the need for new power sources. The problem is that buyers of homes with energy efficient improvements don’t accurately know how much those enhancements reduce energy costs. To solve this problem, Portland has proposed a Home Energy Score Policy that would require anyone selling a single-family home in Portland to provide a home energy performance report to the city and prospective buyers. The performance reports that Portland is proposing cost between $150 and $250 and are produced by a certified home energy assessor. The report would calculate the total annual energy used by the home and estimate the cost of that energy. Exemptions from Portland’s proposed policy would include foreclosure related sales and hardships. The cost of these reports have trended downward in cities that have policies requiring them. A similar energy scoring policy is already in effect for commercial properties in Portland and there are similar policies or laws applicable to residences in Austin, TX; Berkeley, CA; Santa Fe, NM; Boulder, CO; the United Kingdom; Denmark; and Australia. If real estate professionals from these other cities have insight into how the policies have affected real estate transactions, I would love to hear about it in the comments below. My guess is that buyers, sellers, and real estate professionals do not become educated overnight, but that they slowly start to weigh these factors just as buyers consider other routine purchases. This has been the case with green and solar in our area. Some new home builders in Portland started marketing energy efficiency to differentiate themselves. Buyers started recognizing the value of these qualities before appraisers did. However, through published studies, reporting of information in the multiple listing service, and more educational offerings, appraisers are now starting to better identify market reactions to energy efficient upgrades. Voluntary Home Energy Scores have been in Portland for eight years but are being used in very few transactions. These are mostly just reported on new homes that have been built with green or Energy Star ratings that are energy efficient above code. Some might say, “If buyers demanded this information, then sellers would provide it voluntarily.” The problem is that buyers (particularly of used homes) do not know that they could have this information, and individual buyers do not have much power to ask for this information on homes that they are considering. The City of Portland believes that a policy is needed to more quickly make energy scores a part of the market and subsequently drive more improvements in energy upgrades like is already occurring in the commercial market. I know that many appraisers and real estate professionals are thinking that if this information is available, no one will care and it will just cost sellers more. I do not believe that is the case. The following lists just a few national and local studies looking at certified energy efficient homes, green homes (that are tied to lower energy costs), and PV solar systems completed over the past twenty years. The reports show a demand for energy efficiency and a clear relationship between lower energy consumption in a home and its value. Energy Star Pulse Survey of 2014 reported that 76% of homeowners are likely or very likely to pay more for a home that would result in lower ongoing energy costs. More Evidence of Rational Market Valuations for Home Energy Efficiency Appraisal Journal article in 1999 (built on a 1998 article) suggests that energy upgrades have $20 value for each $1 of annual energy savings. The study is old and has its flaws, particularly because it was based on window replacement that could provide value to the owner or home in other ways than just energy efficiency. However, subsequent studies in many other types of energy upgrades have produced similar results. Energy Trust of Oregon Valuation Study of 2014 looked at home sales in Portland with solar and energy performance scoring (EPS, like the proposed Home Energy Score) using appraiser paired sales. The study findings showed that solar systems or green certified homes sold for 3.6% or 4% more respectfully than homes that lacked these energy reduction features. One point in the study suggested that the EPS (Energy Performance Score, similar to Portland’s proposed score) is underrepresented in Portland’s local multiple listing service and not marketable due to lack of market understanding. An Analysis of Solar Home Paired Sales across Six States Appraisal Journal Article in 2015 suggests that offsetting energy costs using solar results in higher sales prices consistent with other studies or about $4 per watt on average over the combined states. The Market Valuation of Energy Efficient and Green Homes of 2015 was done by appraisers in the Northwest. The findings show evidence for increased sale prices of up to 8% related to green certified and Energy Star homes that is consistent with other studies. Based on the overwhelming evidence in these local and national studies that lower home energy consumption equals a higher sales price, I believe that if buyers have access to Home Energy Scores and are educated about them, they will absolutely be willing to pay a premium for homes that have lower energy costs. I believe that if Home Energy Scores become policy in Portland, more energy upgrades will be made both by sellers who are motivated to increase the price of the home they are selling and by buyers who generally make additional improvements close to the time of purchase. Also, more buyers will likely take advantage of new loan products like FannieMae HomeStyle® Energy mortgage and government incentives that encourage energy upgrades. In the future, if this policy is approved, appraisers in Portland could be reporting the Home Energy Score for each comparable sale and might even be making line item adjustments for market reactions to them. Are you an Oregon or Washington appraiser interested in seven hours of FREE continuing education about appraising energy efficient homes? I will be teaching a class in Hermiston, Oregon on December 9th. I know it is a long drive for many of us, but it’s otherwise free. Click here to learn more. If you find this information interesting or useful, please subscribe to this blog and like A Quality Appraisal, LLC on Facebook. Also, please support us by making Portland real estate appraisal related comments on our blogs and YouTube videos. 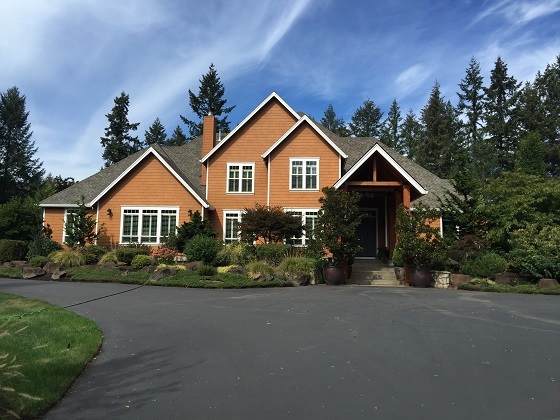 If you need Portland, Oregon area residential real estate appraisal services for any reason, please request appraisal fee quote or book us to speak at your next event. We will do everything possible to assist you. I received the following email about this blog and I thought that I should post it and my response for discussion: On the surface, it’s not a half-baked idea, but down deep, it might be half-baked. I’ve taken a few ‘green’ classes, and what is often said is actual home energy use is related to the number of people residing in the home….and not just how the home performs with the audit or what systems are installed….although those are a component of the total. I’m a good example. Our 2,000 s/f home, oriented for passive solar, built in 1981, was designed for 4 people to live in….i.e., 3 bedrooms, 2.5 baths. It was occupied by 3 people until about 11-12 years ago, when son moved out. Now just 2 of us rattling around. The basic question comes down to the valuation aspect of rating one home against another using just the audit numbers, which may not tell the whole story. Then deciding if a line item ‘dollar adjustment’ should be made, or just use the reconciliation to move the final home value up or down based on the audit alone. Perhaps you’ve talked with your peers in the other cities you’ve mentioned in your blog to see how they handle the energy issue in terms of the appraisal? If so, it would be worthwhile to learn about their experiences. Here is my response to the above email: Thank you for checking out my blog Name Removed. I would love to get feedback from appraisers in the cities that were mentioned. I reached out to a few SRAs in Austin and posted on the Appraiser Coalition on Facebook asking for those specific cities, but got no response prior to posting my article. As for the idea of energy scores being “half-baked” based on actual versus an audit, I respectfully disagree. An audit is not meant to be an actual number. It is an estimate based on “normal” usage, just like your appraisal is not meant to be a guaranteed sales price, but an estimate based on the typical buyer, typical exposure, etc.… Appraisal estimates are not always correct, timely, or apply to a specific circumstance, but that is no reason users of appraisals should ignore the information in them. An energy score is no different. I see the home energy score similar to the MPG rating on a car. Buyers use the MPG rating to make comparisons, but that does not mean that person with the lead foot, under inflated tires, four kids in the back, and towing a trailer is going to get the same mileage. The MPG rating is not meant to be an actual number, but a standardized baseline from which comparisons can be made. Not all car buyers pay attention to the MPG, but many do. Without the MPG rating, we would see less efficient cars. President and CEO of Ford Motors said, “…whether it’s $4 a gallon or $2 a gallon, customers still want good fuel economy,” (http://www.forbes.com/sites/alanohnsman/2016/11/16/ford-sticks-with-mobility-tech-strategy-amid-fuzzy-trump-auto-policy-goals/#2466853c5664) It is clear to me that once home buyers have similar information as car buyers, the information will influence their decisions in a similar way. I can totally understand the benefit of knowing the energy rating of the home but I do not agree with making it a requirement. This would just be another required cost associated with selling a home that keeps adding up. I think the market should decide if this type of thing is important. If it becomes important enough for buyers the demand will be so great that seller will do it automatically. If you guys have been doing it for 8 years already and it still is not catching on then I think that is telling you that it is not important enough. It sounds like it is just another way for the government to influence the market. First off, it was great to meet in person last week as we were visiting Portland. Thanks again for your hospitality Gary. I've wondered if energy ratings will permeate my market eventually. They seem to still be a novel idea in Sacramento, but I've wondered if they'll be something important at some point for buyers to pay attention to (whether they understand the rating or not). Will there be an energy rating field in MLS? We shall see. I do agree with you that the market should decide. I am not for home owners having to pay additional inspection fees. I can foresee the government thinking this is a good idea, though NAR and state associations tend to flex some muscle and lobbying power when it comes to adding point of sale issues to every transaction. Thank you Ryan for the blog comment and it was a pleasure to finally meet you in person. I actually think the market needs to be forced in order for this to happen (see previous comment to Tom), but I agree that the realtors will push back hard on this. Our MLS already has a field for energy score and the market is showing through a growing body of evidence from studies over the past twenty years that when buyers have this information they will listen and alter their decisions. My concern is the misconception that every car, truck, microwave, washing machine manufactured has each individually been tested for energy efficiency. No way but we are requiring it for houses? Secondly, what happens when your appraisal comes in too low and the buyer is shut out of the transaction? Or, worse yet, underwriters review the scoring you used to get to an appraisal but their lenders refuse to lend until such time as repairs/upgrades are completed? Home-ownership affordability shot to heck. Another consumer protection I don't see the city addressing at all is similar to real estate inspections. The auditor for the energy scores should not be permitted to make the repairs/upgrades for any home they've audited. Conflict of interest subject to scams. Thoughts? Michael, thank you so much for your comments. I will try to address your questions. 1. You're right, not all manufactured goods are tested for energy efficiency and some do change over time. This is one reason why the DEQ tests car emissions. However, our homes use more energy than our cars, yet we tend to be more likely to put money into a fuel efficient car over making energy upgrades to our home. This could be partly due to lack of understanding by the public regarding just how much energy is wasted in our homes. 2. The low appraisal problem is one that we see today for a number of different reasons. Sometimes buyers pay too much and sometimes appraisers get the estimate wrong. Buyers having more information to make decisions will not change the number of low appraisals and shut buyers out of homes. It will only give market participants information that could change behavior and result in more energy conservation and less production of power. I agree that home affordability is going down, but a $150 energy audit will not change that. I think the audit will make homeownership more affordable because buyers would be able to actually compare the cost of ownership. Buying a home that is not energy efficient will cost you dearly in terms of ownership, but right now the price might be the same as a more energy efficient home. Also, buyers who have lower utility bills are less likely to default on loans. 3. I don't know about the rules regarding auditors making repairs, but I can see the conflict of interest. The companies that I know that are doing audits are home inspection companies and they typically do not make repairs for that reason.